1. Don't let your traffic dictate your style. Just because you had a specific topic in a post that totally upped your page views for the month, doesn't mean you should start posting about it all the time, ESPECIALLY if it's not what you normally cover. Stay true to yourself and the traffic will come. 2. Use attractive colors and images. Use bright bold colors and beautiful photographs and pictures in your posts. When you do an outfit post, take nice up close pictures of the bright accessories! 3. Never blog about something you don't like. I love animals and almost everyone knows that about me, so I have had times when I had to refuse to work with a company because I didn't like how many fur coats they carried, etc. In the end, you will feel better about yourself when you stay true to your voice and values. 4. Spell check!!! Eva Chen even said, the more you spell check, and the more you read and edit your posts before publishing, the more attractive your content is to readers. 5. When designing your site, use mindless designs. Keep it easy to look at so that people stay on your site. Simple is sufficient! 6. When checking website stats, look at how much time people spend on your site. If they don't stay on it very long, consider writing more interesting articles or making your site layout easier on the eyes. 7. Don't be competitive. Even if you blog about the same thing as someone else, be yourself and understand that your voice is what makes your blog unique. Everyone brings something different to the table. 8. Be Nice! Being kind will never go out of style. Be nice always, because in the end it always comes back around! 9. Move your Blogroll to another page. If your blogroll isn't very relevant to the overall content of your site, move it to a different page so it doesn't show up on the sidebar even when you aren't on the home screen. 10. Don't let your budget bring you down. Who cares if your entire outfit in your post costs $40. Fashion is fashion, and everything is equal. 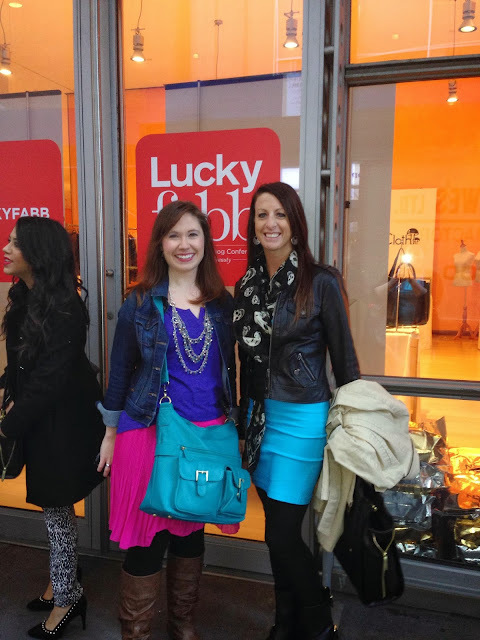 Tune in tomorrow for my post for anyone that wants to attend LuckyFABB in the future!